Scott M. Graffius of Exceptional PPM and PMO Solutions™ had consulting engagements with a division of a global entertainment business. A fantastic agile transformation experience with that client was the inspiration for his book, Agile Scrum: Your Quick Start Guide with Step-by-Step Instructions. This is an update on the book. 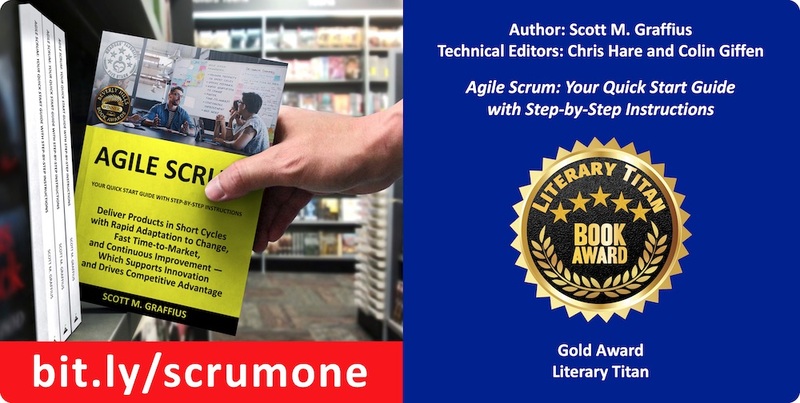 On March 16, Literary Titan published their review of Agile Scrum—“The book highlights the versatility of Scrum beautifully”—and they gave it five stars. Literary Titan periodically provides additional recognition for select works. Today, the program honored Agile Scrum with their Gold Award. Thank you to Chris Hare and Colin Giffen, the technical editors on the book. Thank you to Literary Titan for the award. A press release from Scott M. Graffius, the author of the book, is located here.